The Las Vegas Market opens July 31- August 4. Is your marketing ready? Two times a year, thousands of designers and retailers come together at the Las Vegas Market to see the newest, hottest trends coming to market. 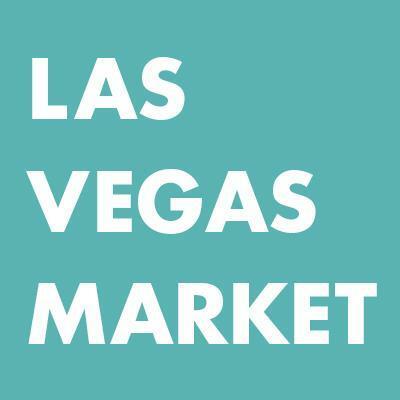 The Las Vegas Market first launched in 2005 and is now the most comprehensive furniture, home decor and gift market in the Western United States. With over 3,000 resources available, if you are in the furniture and decor industry, you need to be at the biggest and only home furnishings market in the West. This year’s Las Vegas Market will include the national bedding market, new category launches in outdoor and hardware, the fastest growing gift and home decor market and a 5-million-square-foot state-of-the-art venue. Get a first look at the new products and trends coming to the Las Vegas Market and be sure to get your marketing campaigns ready for the biggest home furnishing, decor and gift event in the Western United States. With the Las Vegas Market, you can plan your trip easily. Pick your top exhibitors, plan your days accordingly and save your finds to review for your business. You can use the Exhibitor directory, market planner and #LVMkt app to help you coordinate your marketing efforts over 2,700 Las Vegas Market resources. Utilize this time at the Las Vegas Market to socialize and make connections with thousands of others business professionals in your industry. Stop by events such as the Brunch Cocktails, the Pavilions Afternoon Bars, and the Happy Hours on the floors. Meet, greet and mingle. Just remember to stay professional to get the most out of these networking opportunities. Plan your content ahead of time to keep your content marketing campaigns going strong throughout the event. After the Las Vegas Market is over, create a content piece about the newest trends you saw and what to expect this season, allowing yourself to be seen as the industry expert you are. For those in the furnishings, decor and gift business, the Las Vegas Market is the place to be. If you need advice on getting your marketing campaign ready for the Las Vegas Market, reach out to Post Launch, a Las Vegas digital marketing company, for a free consultation.